James E. Carter « Carter Cromwell Law Firm, P.C. Jim Carter was born in Atlanta and grew up in Macon, GA. A graduate of Mercer University, he served as an officer in the U.S. Navy before earning a law degree at the University of Georgia. Admitted to the bar (licensed to practice law) in 1969, for 40 years he has fought for the rights of his clients. 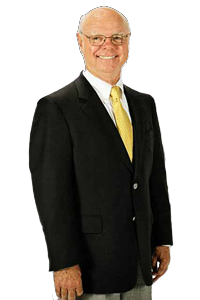 Over four decades Jim has represented thousands of clients. One highlight is a case that was appealed to the U.S. Supreme Court. In a rare showing of unanimity, all nine justices ruled in favor of Jim’s client. But the most important aspect of Jim’s cases is helping seriously injured people rebuild their lives – and know that with many health issues to handle, money won’t be an added stress for them. Community involvement and service have always been an important part of Jim’s life. For more details, you may read Jim’s resume here.